The Camberdale is located in the coveted South Poinsettia neighborhood in Sarasota FL, where residents can experience carefree island living just a few blocks away from Sarasota Bay and Siesta Key and engulf themselves in the Downtown Sarasota lifestyle of arts, culture, and entertainment. 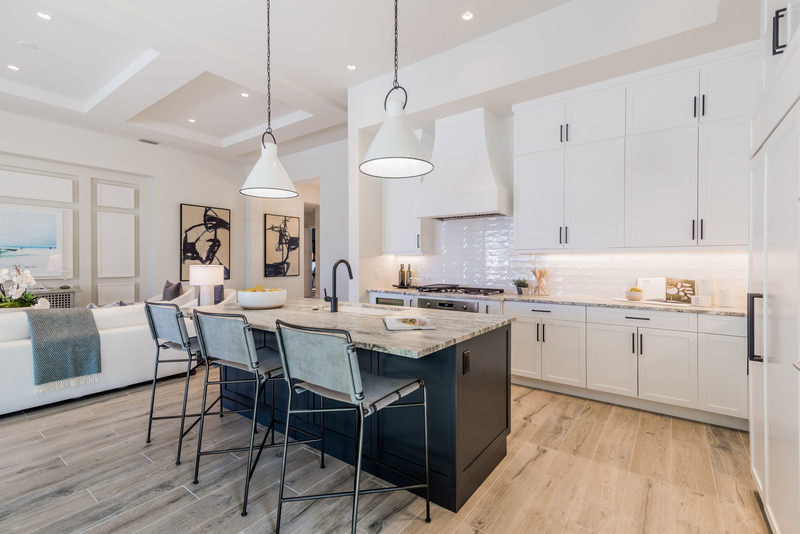 It’s detailed architecture by London Bay Homes and stunning interior design Romanza Interior Design combine to create a coastal contemporary look, harmoniously blending modern and eclectic designs with the 1920’s-era designs that are still prevalent in nearby residences. In more ways than one, the Camberdale offers a perfect example of having the best of both worlds, and now you have the opportunity to purchase this stunning home for less. The Camberdale is now priced at $3,150,000. The Camberdale isn’t located on an island key, but it can be found on Oleander Street within Sarasota’s historic district and is close enough to the Sarasota Keys that you can hop on over and be there in minutes to appreciate the sun, sand, and surf. 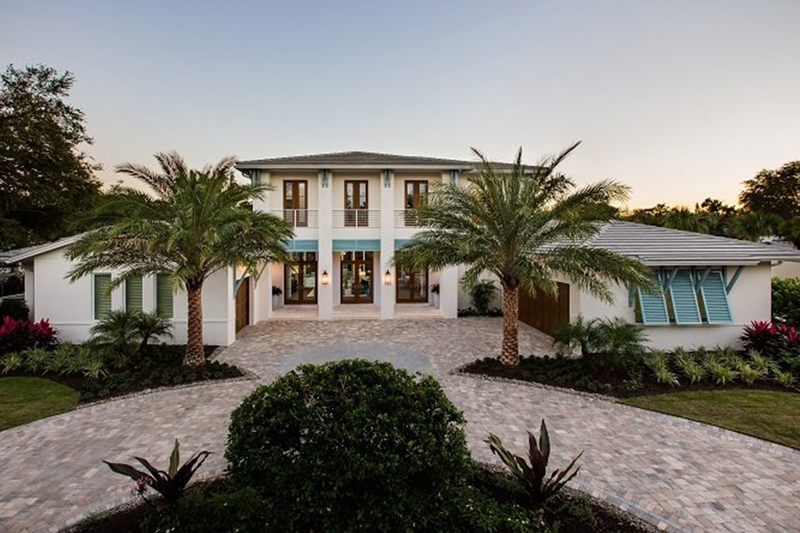 This proximity to island living is balanced with a connection to the mainland’s Zagat-rated restaurants, locally owned boutiques, and performing arts venues, bringing you the best of both worlds in one luxurious two-story estate model. The four-bedroom, four bathroom Camberdale exudes relaxation with architecture and design details meant to seamlessly blend the home with its natural surroundings. Sea-blue painted louvered Bermuda shutters, wood-framed windows with simple grids, and an emphasis on vertical symmetry provides coastal elegance with this refreshing design. When entering the 4,377-square-foot home through the trio of double doors in the foyer, you will be mesmerized by the expansive space encompassing your view. The foyer grants entrance to the great room, which begins the open floor plan leading to the luxury kitchen and dining room. This space features vibrant navy and marine blues with pops of citron and yellow, as well as contrasts of dark woods against light backgrounds. Additional colors like aqua, tangerine, lime green, peacock, and raspberry are scattered as accents throughout the home’s two stories. Sliding glass doors in the great room and large windows in the versatile dining room give the feeling of even greater open space by connecting the indoor rooms to the covered outdoor living and outdoor kitchen area with an under-counter refrigerator, grill, sink, and a fire table. Look past the decorated outdoor living space and you’ll find a sparkling custom pool with a sun shelf and spa. Double French doors in the master bedroom also open up to the outdoor living space, but the highlight of the outdoor space outside of the master suite is the private garden with an outdoor shower that is accessed through sliding glass doors found in the master bathroom’s indoor shower. The master bedroom will also feature an inviting bathtub positioned in a bay window to create an ideal spot for relaxation after a long day of enjoying Sarasota’s attractions. A staircase tucked next to the gallery will lead you to the two guest suites on the second floor, as well as a loft with a wet bar that makes for the perfect place to have a movie night or an evening of relaxation. This space can also serve as a private lounging area for visiting family and friends. Double doors in the loft open up to a terrace that invites a leisurely afternoon of reading or brings in the moon and stars for a romantic tête-à-tête. 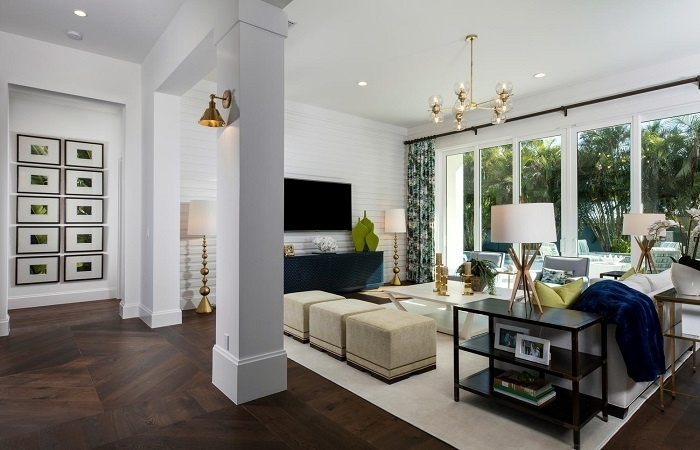 Call 941-421-7136 or email us to schedule your tour of The Camberdale, our luxury single-family estate home in downtown Sarasota FL. 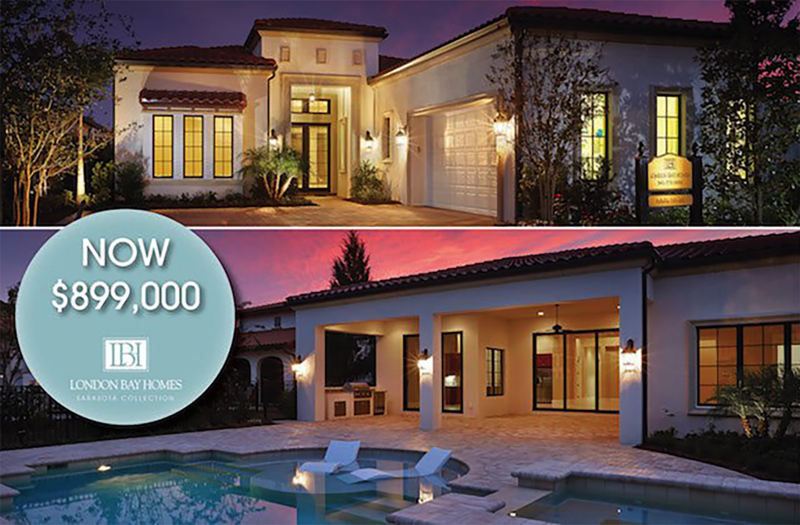 You can also view our many other luxury model homes to see which one suits your lifestyle. 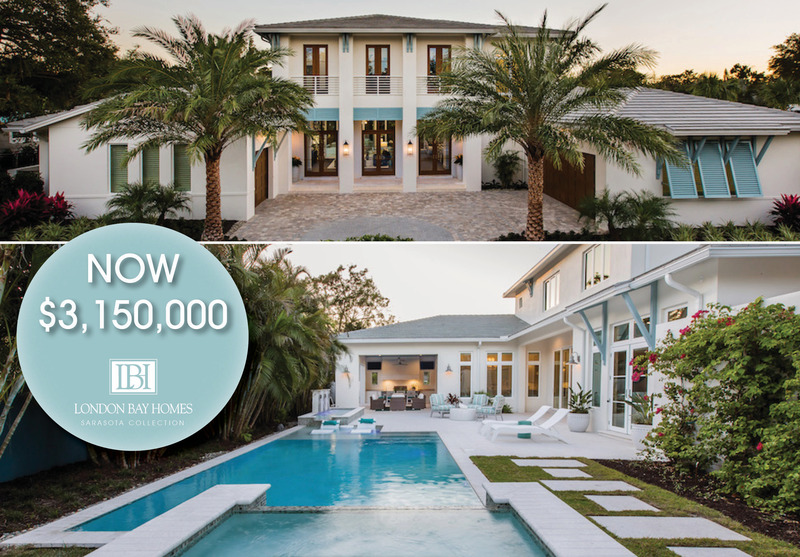 Our luxury model homes span from key to key, as well as throughout mainland Sarasota FL. If you’re looking to build a one-of-a-kind home, London Bay Homes also has select home sites from which to choose and will also build on your home site. Get first dibs on new models, incentives, and events!